No matter what you like to do, Saxon Switzerland offers activities to suit everyone. Discover the Elbe – you can go canoeing, or enjoy the magnificent view leisurely from a paddle steamer. 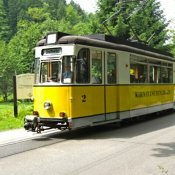 Experience theatre performed on one of the most impressive outdoor stages of all, or explore the romantic Kirnitzsch Valley with the historic tram. 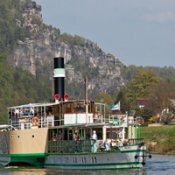 Through the Elbe valley with the oldest and largest paddle steamer fleet in the world: Let yourself be enchanted by the nostalgic charm of the old steamers. 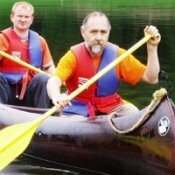 Actively experience Saxon Switzerland: Travel along the Elbe by canoe, dinghy or raft. We also offer rock climbing and cave tours. 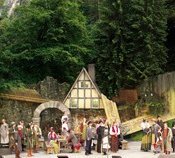 Outdoor theatre in the middle of the National Park in Saxon Switzerland: Performances surrounded by sandstone, from May to September every year. From Bad Schandau through the Kirnitzsch valley into the remote regions of Saxon Switzerland. The old overland tramway brings you to the starting point of your hike. 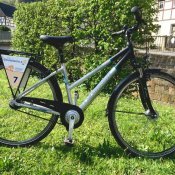 Modern trekking bikes are available to rent in-house for exploring the Elbe cycle track. 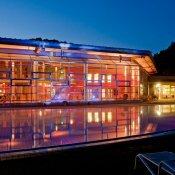 The Toskana Therme Bad Schandau welcomes you after your eventful hikes – an ideal place to relax.